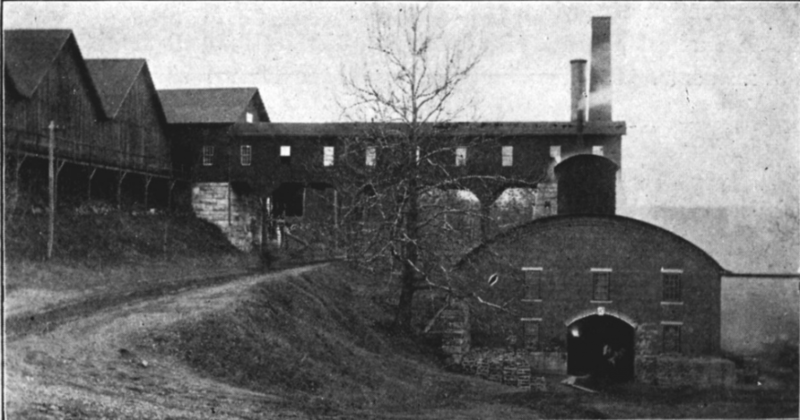 The Beckley Blast Furnace, also known as East Canaan #2, is located in northwest corner of Connecticut on the Blackberry River. Built in 1847 by John Adam Beckley, the Beckley Blast Furnace produced huge quantities of pig iron, a crude iron that is refined to produce steel or wrought iron. Closing in the winter of 1918-1919, the Beckley Furnace was one of the last three blast furnaces in operation in the region. Eighteenth- and 19th-century blast furnaces were large stone stacks, ranging from 24 to 50 feet in height, with square bases whose sides tapered inward to square tops. Covered charging bridges where workers moved materials that fed the furnace, charcoal storage sheds, and casting sheds made up the complexes which surrounded the furnaces. Blast furnaces got their name from the blast of hot air that raised temperatures inside the furnace high enough to turn iron ore into iron. Both the making of charcoal to fire the furnace and the running of the furnace itself were hazardous to the iron makers, but Connecticut-made iron was extraordinarily high quality and sought after. The Beckley Blast Furnace is one of the few remaining blast furnaces in the area and serves as a reminder of our rich heritage in the early iron industry. 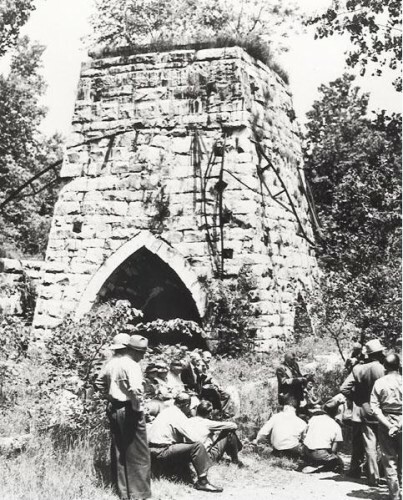 In 1946, the state purchased the furnace and planned for its preservation, and Beckley was eventually designated as Connecticut’s sole industrial state monument. In 1978 Beckley was placed on the National Register of Historic Places, and in 1999 the furnace stack was fully restored. 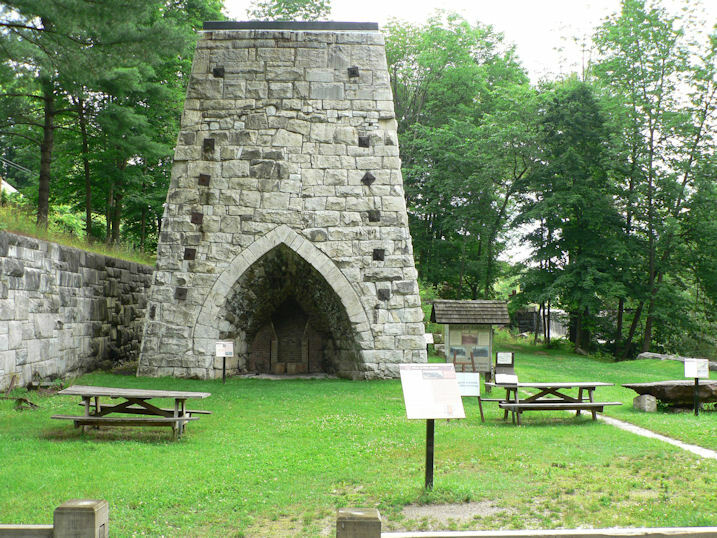 Today, the blast furnace is a noteworthy attraction on the Iron Heritage Trail in Northwestern Connecticut, New York, and Massachusetts. “Beckley Blast Furnace: East Canaan, Connecticut.” Library of Congress, Local Legacies, 2000. Link.